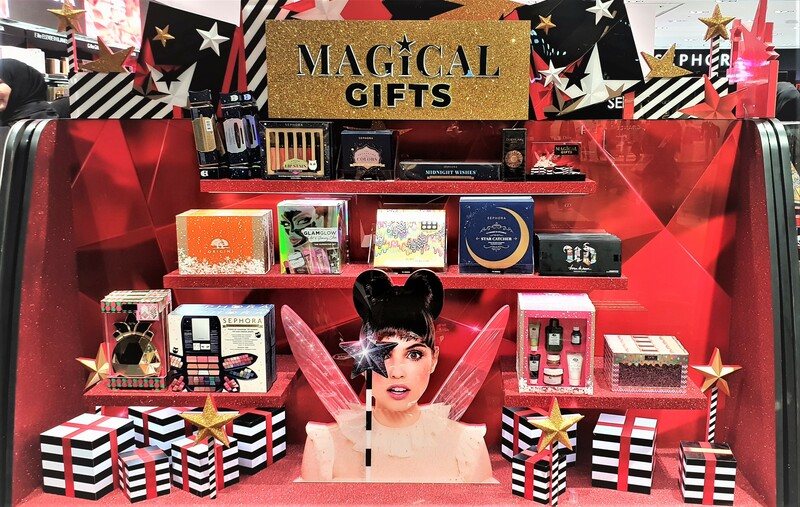 I visited Sephora again (seriously, they need to move the store to a more accessible area of the Avenues already, like maybe switch out Sephora with Next so people can access Sephora both from inside and outside the mall for quick drive-bys. I mean their current location is so out of the way from everything else!) and also, because I still didn’t get my Brand Gift (for reaching 200 points) even though I’ve already received the e-mail from the Dubai branch of Sephora. While there, I spotted several new displays (as shown above), new products and new brands!!!! For starters they had a Mini Mania display (sooo cute!) 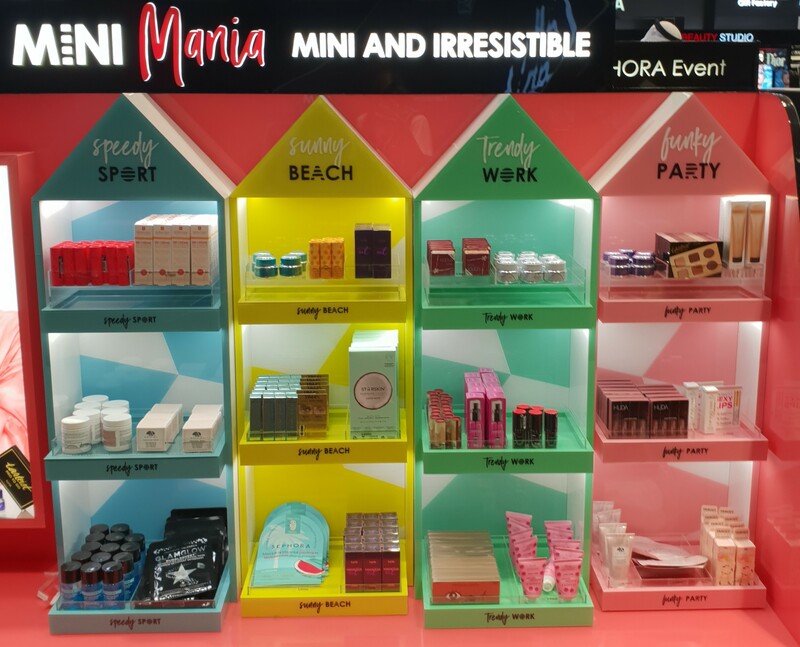 mostly of cult fave products available in mini-sizes separated into 4 categories (all of which we’ll be taking a much closer look at, below) ranging from Speedy Sport – Sunny Beach – Trendy Work – Funky Party. More recently, at the Perfume & Makeup Exhibition (Mishref Fair Grounds) I stopped by the Beidoun Booth to check out the sets available at Lancome. Just like Clinique (who are constantly churning out Value Sets and Gift Sets and all kinds of sets really) Lancome are also known to come out with a few desirable sets of their own. I was only interested in the new Energie de Vie Skincare Collection (green ombre packaging), the antioxidant liquid moisturizer specifically but other than that, I wasn’t really planning on getting anything. With that being said, the sales assistants were all so lovely and accommodating (as always, just like all Beidoun employees, as opposed to the horrible aggressively pushy Alshaya employees) that I obligingly picked up a Douceur Cleansing Trio which consisted of the cult classic Bi-Facil (Dual Phase) Eye Makeup Remover, a Cream Cleanser (my preferred way of removing makeup) and a Toner (to play around with), all full-sized. 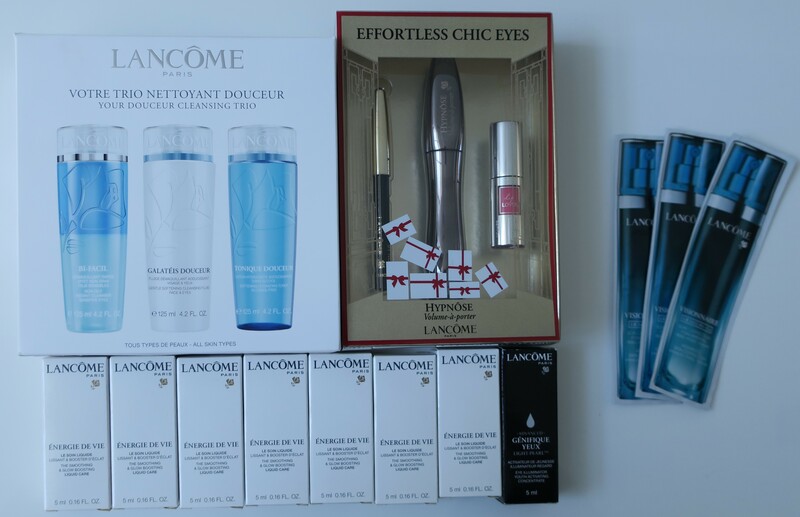 The sales assistants were all so very helpful that I couldn’t help pick up yet another set called Effortless Chic Eyes that consisted of a full-sized Lancome Hypnose Volume-a-porter Mascara (black), mini-size Lancome Crayon Khol (black), and full-size Lancome Lip Lover (Rose Attrape-Coeur). The Cleansing Trio normally retails for KD 22/750 but I got it for KD 14/790 and the Effortless Chic Eyes Set retails for KD 13/000 but I got it for only KD 8/000! Not only was their a significant discount on both Sets, but I also received a generous supply of samples including some from the Energie de Vie range! I walked away feeling great about my extremely pleasant experience at the Lancome counter! The sales assistants were lovely and actually helpful! They were also quite generous with the samples! Best of all, there were several great deals on already marked down Value Sets! Can you fault me for loving Lancome? 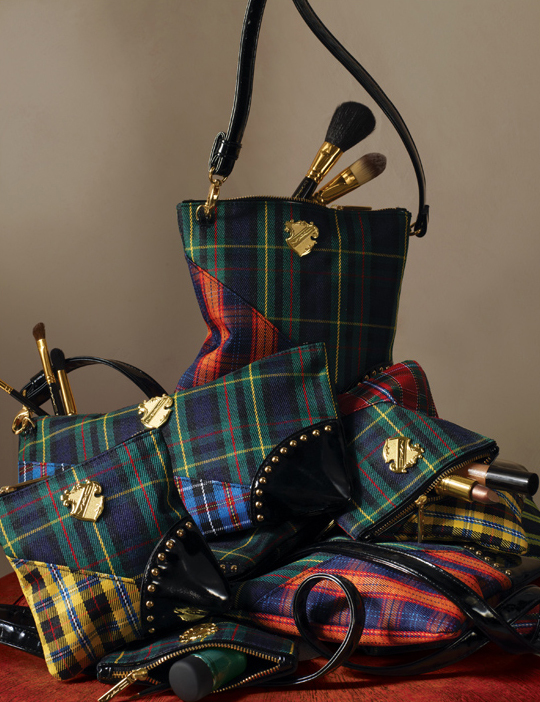 Tartan Tale: Chapter Two included sets and kits that came in incredibly cool tin packaging with tartan stripes and even a gold crest that reads MAC, to go with the whole Scottish theme. I thought these looked fantastic and just had to pick up a few. Once you empty out the tins, you can use them for storage!